PlayStation 4 gamers may be interested to know that developers Circle 5 Studios have announced their new game Primal Carnage Extinction will be available to play on the PS4 later this month from October 20th. The Primal Carnage Extinction game takes the form of a class-based online multiplayer shooter that pits people against dinosaurs, check out the launch trailer below to see what you can expect to enjoy whilst playing the new game. Take control of the deadliest creatures that ever lived. Fight for your territory as ten distinct dinosaur classes, from the mighty Tyrannosaurus to the deadly Dilophosaurus, each with its own special ability. Sneaking, blinding, charging, eating, flying… there’s no shortage of ways to hunt your prey. 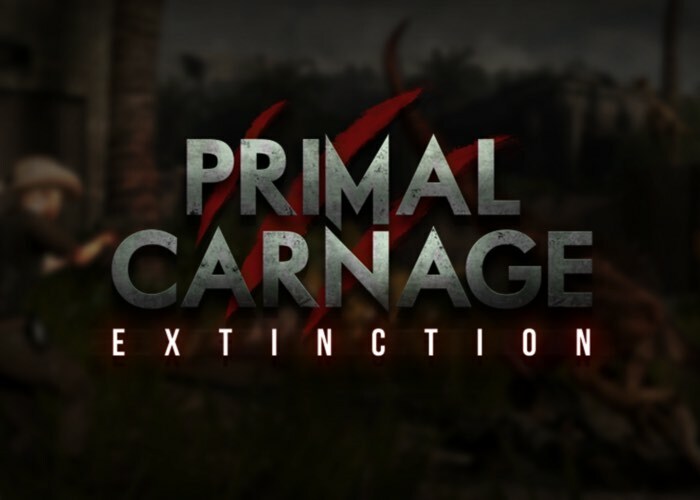 For more information on the Primal Carnage Extinction game that is also available via Steam jump over to the official website via the link below.